No matter how hard one tries, it seems there is always room for improvement. Take a book, for instance. You’ll be hard pressed to find one that doesn’t contain at least one small error. 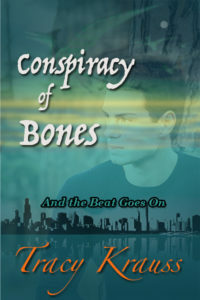 When i republished CONSPIRACY OF BONES (formerly AND THE BEAT GOES ON) i thought it was pretty clean. Not so! Thanks to a kind reader who emailed me and pointed out a few mistakes, I decided to go back and edit one more time. I was expecting a couple of errors, some of which were the difference between American and British spelling. However, what I found was shocking! There were a lot of mistakes that had somehow been missed. I’m glad to say it has been re-edited and should be closer to ‘perfection’ than it was, but I have no illusions that it is perfect… There may still be some mistakes that slipped by. Editors are only human, after all. Unfortunately that’s true- most books will have an error or two that the human eye doesn’t always pick up on.